To help you get your church’s attention, we just rolled out group notifications. Making announcements can feel like a waste of time. … and hang up posters in your facilities. It can still feel like your church members don’t know what’s going on. Your church members are lost in a flood of information, and it's hard for them to know what is important. It’s like everyone tunes out what you say, unfollowed your church’s Facebook page, and added your email to their spam folder. To help you get your church’s attention, we just rolled out a new feature to our church app you’re going to love. Push notifications are one of the most effective ways to share a message. Send too many notifications, and your app users will turn them off. If you have a church app with Tithe.ly, you can now add group notifications. With group notifications, you can send push notifications to groups of people, as well as church-wide notifications. By adding groups to your church app, you can send the right message to the right people at the right time. This will increase the number of right people who will see and respond to your message. Not convinced this is helpful? Give me just a few minutes to break this down for you. If you’re pressed for time, feel free to scroll to the end to watch a video. Are you worried about bombarding your church with too many messages? You don’t have to any longer. Instead of sending out a church-wide push notification for everything, you can now send notifications to specific groups of people. Need volunteers in your kid’s ministry? Send a group notification to people who have joined your kid’s ministry group. Short-handed for your church’s worship service? Let people know who may be able to help. Does a parent or guardian need to know what’s going on in youth ministry? They can sign up to receive notifications. Your church members can turn on or off group notifications in seconds. So, if someone no longer wants to receive a notification from a group or needs to be in the know temporarily, then they can turn group notifications on or off in seconds. Know what you have in common with every member of your church? You’re swimming in a sea of information. Whether you're at home or work or on your phone, laptop, or computer, you are bombarded with a slew of messages. Your church members have an uncanny ability to tune out announcements. You can now send targeted group notifications to people who need to know. Don’t feel like you’re overwhelming your church with information. Instead, streamline your communication by sending group notifications. This pivot in your church’s communication strategy will help you limit church-wide notifications by sending targeted messages to groups. Add group notifications to your church app. Reduce the number of messages you send during the week. And watch more people respond to what you have to say. We made signing up to group notifications easy like Sunday morning. Your group notifications aren’t hidden in a dark corner of your church app where no one can find them. That’s like pressing an easy button, right? Do you have a church app with Tithe.ly? Then you can now add group notifications. Click here for the group notifications instructions. This nifty article will walk you through how to set up group notifications in your church app and how to send notifications to groups. Need to see group notifications in action? Read 3 Reasons Why Mobile Apps Are Better Than Mobile Websites. Contact a specialist today for a no obligation, hassle-free chat. Processing fees can be complicated. Here's a short (and simple) guide to clear the way. The most significant change taking place in church giving is donating online. See how 15 churches have increased their church giving online. Tithe.ly has a new and improved giving form. Enable it today! Not sure if your church needs an app? Check out these three key benefits. Good experiences are everything with your church's app. See how you can create a slick, fast, and easy-to-use experience with your church app. Check out the latest newsfeed addition and Instagram integration with our church app. Get Tithe.ly Church Management (ChMS) for only $50/mo. As you can imagine, we’re excited about the two companies coming together, but we also know that you will have questions or concerns. You'll love the new slide-out menu in our church app. Looking for a conference to attend this fall? Look no further! Check out these three options and discounts. A highlight reel of the latest updates at Tithe.ly. Need help managing your church events? Let us introduce you to Tithe.ly Events. Discover how Kalso Church raised 50% of their financial support for their new church with Tithe.ly. 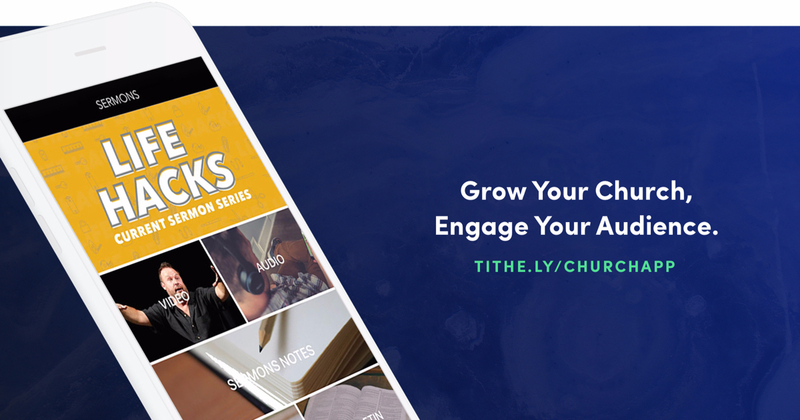 Discover why The Timothy Initiative switched to Tithe.ly and how they can now plant more churches. To help you better engage your congregation in ways that are becoming more natural for them, we’ve pumped up our Church App by rolling out huge updates to our Interactive Sermon Notes. Catalyst Leadership and Tithe.ly form strategic partnership to offer onilne giving for Churches and Ministries. Here are three reasons why we are excited to partner together. Online Giving for WordPress Church † Websites is as simple as installing this smart wordpress plugin. Use it FREE today! We really do love pushing up new features for y’all. It’s fun to deliver tools you need and use. Click to view 4 recent, amazing product upgrades we made! We keep knockin’ out new features and product updates so you continue to get the most out of your church giving product. The Best Church App Includes these 14 Features and Much More! Think about this for a moment: 80% of internet users own a smartphone! That’s right. 80% of folks online have a smartphone — a device that allows them to get online and find information, read books, check email, pay bills, shop, get directions, manage finances, buy coffee, take a cab, and so much more. For years, Tithe.ly has been known for bringing innovation into the church through our digital giving tools. It’s been amazing and we’ve enjoyed every minute of our work and the time we’ve spent serving churches and ministries. But we can’t stop there … great companies grow by looking for new ways to serve and bring value to their customers! Producing giving statements for your members/donors is important work, but it’s tedious and time consuming for all involved. Some would even say it’s painful. As much as you love serving people, I’m sure you’d rather not spend a lot of time on this task. So…we decided to make producing annual giving statements easy! Your Church, Your Culture, Your Identity, Your Giving Tools: Tithe.ly Customized. You put a lot of effort into creating your identity. Which is why we decided to give you more control! We wanted to make it simple for you to see a few key indicators at a glance (weekly average, # of new donors, average gift size, percentage recurring), and help you see giving trends over time for giving amount, number of givers, and number of gifts. 6 Fantastically Awesome Upgrades to Tithe.ly Online Giving for Your Church. We’ve got some great news coming from the Tithe.ly product team! Of course, they’d love to write this themselves, but they’re heads down working on the next batch of great features — more customization capabilities, events, integrations and more! Churches realize that people — their members — bank online, buy their coffee or take a cab with an app, and check in at the gate using their mobile phone. 4 HUUUUUGGE Tithe.ly Product Updates (from the dev team)! Not a week goes by without us pushing up new code. That’s right! We’re always improving the Tithe.ly product. It may not always be obvious or even noticeable, but it’s happening! 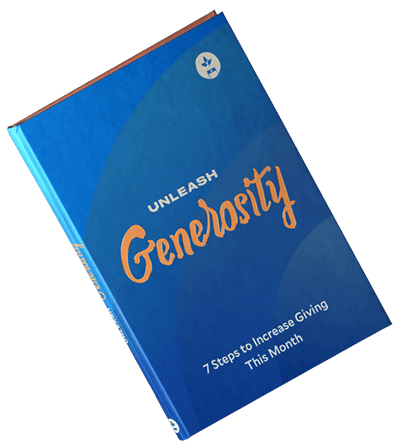 How seriously is your church taking recurring giving? Tithe.ly Updaaaates (from the dev team)! Every once in a while (read: almost never), the Tithe.ly team gives us (the devs) the microphone for a few short minutes. The Number of Text Messages Sent Every Day is Shocking, so we Decided to Roll out Text Giving for the Church!! Rolling out Tithe.ly in your Church? Use this “Giving Post Card”. Now that you have this new technology (Tithe.ly chuch giving) you’re faced with the difficult task of educating and teaching your church how to use the tools. Helping the church through technology and innovation is in our DNA and we're determined to create world class online and mobile giving tools for you.